While swimming might come naturally for some people, it doesn’t happen the same with various other individuals. Besides, it requires a bit of effort and quite a lot of commitment and it isn’t particularly relaxing, unless you know what you are doing. If you would like to relax and bask in the sun, what you need is a pool float that looks and feels good. For your consideration, we’ve created a short selection of some of the most critically acclaimed choices we have discovered while doing our research. Check them out if you haven’t decided on something in particular just yet. 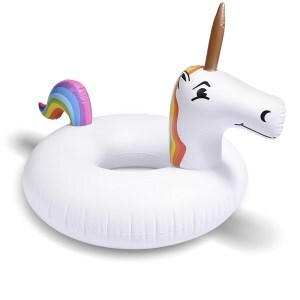 Wherever we talk about a pool party, a seaside adventure or just a nice day reading by or in the pool, the GoFloats unicorn inflatable is the perfect companion. 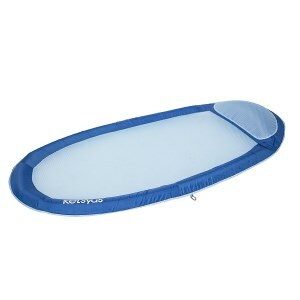 Made from premium UV treated raft grade vinyl, up to 25% thicker than the competition’s material, the float can survive those long hours of fun in the sun. Size matters. And the GoFloats choice is big enough to fit any body type. Also, the new rapid valve allows a quick inflation, up to five times faster than the previous; this way you don’t have to waste time on boring stuff. 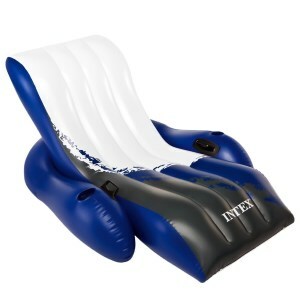 So pack up and let the fun begin with this highly-resistant inflatable float. The key to a relaxing day at the pool is this inflatable lounge. It has a cool color that is going to match the vibe of those summer days, and the improved contour is going to be very comfortable for the body, providing even more pleasure for your relaxed muscles and mind. Basking in the sun is not going to be a problem as the material is not going to thin under the UV rays and, as a backup, you even have a repair patch included. For extra enjoyment it comes with a built-in cup holder, meaning you can relax and have a cold beer. It’s a win-win situation! Who said floating can’t be stylish? With this product, your pool time extravaganza won’t be just relaxing, but also fun and chic. If you close your eyes you can almost feel like you are on a tropical beach, surrounded by these exotic birds. Made of premium UV treated raft grade vinyl, this choice is going to put up even with rougher environments like a lake or a river. The size is also a big yes! And combined with the rapid valve, that allows 10x faster inflation times, your pool party is going to be unforgettable. And what’s even better is that it comes with a US warranty so you don’t have to worry about anything! A day at the beach or the pool is never complete without a floater. And what is better than a hammock that allows the middle of your body to stay cool and in the water, while keeping your head and legs afloat, to enjoy those warm summer days? This inflatable product is made of Texteline fabric that can handle any type weather. And that means you never have to worry about leaving it outside in the rain. The ergonomic design provides support for your back, maximizing the enjoyment of the experience. And the soft texture and durability of the materials are going to make you never want to leave the pool. The ideal item for a cool pool party that’s worth mentioning is this crazy pool raft. 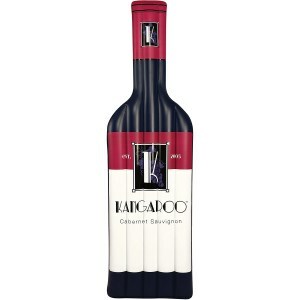 It comes in the shape of a wine bottle and it will for sure be the central attraction of any pool gathering. And the fact that it is made from heavy-duty vinyl makes it even better. It means all your friends can enjoy it and the inflatable won’t even scratch. It truly is the standard for excellence. And, yes! It is huge, as the photos picture it. But don’t worry, it’s actually super easy to inflate or deflate. So, if you want to surprise everybody, then this is the way to do it. This floating hammock is made of polyester, PVC and a steel mix, keeping things simple. A minimalist approach was taken in order to convey a sturdy product that will last for a long time. And it will not do its job halfway, but completely. What’s cool about this floating hammock is that it will suspend your lower body just below the water’s surface, keeping your body cool and relaxed. To take things even further, it features an inflatable pillow that can provide support for your neck. It also comes with a patented inner spring for advanced comfort and stability while floating, all of this so your time on the surface of the water is memorable. If you want a floater that will be kind to your back, look no further. Due to the ergonomic shape of this product, you can enjoy long hours of fun on the water, and your back won’t even feel it. The chair-like design is ideal when it comes to the biology of the spine! It has two specially designed air chambers for stability, three heavy duty handles for a good grip and is made of sturdy vinyl that can sustain intensive use. Add two cup holders to the mix, and you have the best choice for an extended weekend. Yes! It’s a doughnut! How cool is that? Talk about the life of the party. This eye-catching, jaw-dropping product is not something you pass by and fail to notice. It’s young and hip, and more importantly, it’s high quality. 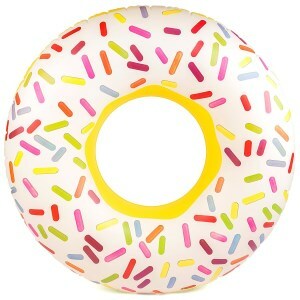 Made of extra thick, extra-durable vinyl – the long life of the doughnut is guaranteed. The model and shape are great for both kids and adults and the 42’’ diameter model includes an patch kit, for the eventuality of an accident. And as a bonus, it features a large valve so you can inflate or deflate this pool float in no time. It doesn’t get much better than this! Summer is the season that gives you all the reasons you need to have fun. In case you are the kind of person that stays more inside during winter, summer is the ideal time to enjoy the excellent weather. Choose to go outdoors, enjoy camping or live a new adventure at the seaside, according to your preferences. Just imagine yourself in the best pool floats for tanning enjoying the warmth of the sun. All you need is a great location and the right accessories to help you have some fun. Choose really cool pool floats and go live a great experience at the seaside or at any pool you want. There could not be a real summer holiday without spending some time at the pool. This is why finding cool pool floats for adults is the kind of task that everyone seems to be engaged during this time of the year. Do you feel overwhelmed by the endless range of options at your disposal? Would you like to find a way in which to make your choice fast and be confident that you have chosen wisely? If your answer is yes, then you need this buying guide to help you sort things out today. We have done the research for you and have discovered the most important features that characterize the coolest pool floats. 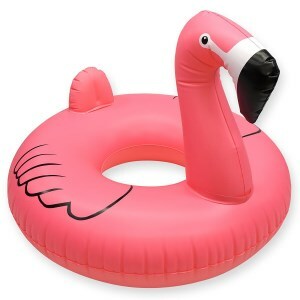 With this buying guide at your disposal, finding the coolest pool floats for adults to take on holiday will be easier than ever. You will know what type of features should characterize the best products for sale and be able to choose based on a reliable set of features that separate good products from the best items available in this category. Most pool floats are made of polyvinyl chloride (PVC), a thermoplastic compound enriched with various stabilizers. Many new models are reinforced with a textile or rubber layer that prevents slippage. It is important to be convinced that the chosen product will resist abrasion, pressure and possible stinging for a long time. The latest models are much thicker and more durable and are designed for constant use, so they incorporate layers of foam and latex. Most new items also include a pump that allows swelling. In the case of the most expensive variants, swelling can be done automatically. The material matters because it allows you to inspect not only how hard the model is, but also how safe it is for you to rely on it when you are at the pool or in any other outdoor environment. Also, by focusing on this factor, you will be able to anticipate and decide upon the maintenance costs that will be necessary for you to support later. In terms of sanitation, most models can be washed simply by using a sponge and detergent and then allowed to dry thoroughly before being deflated or reused. If perforations and air loss occur, many products include a maintenance kit that allows you to repair the damage at home. However, given the technological innovations in today’s inflatable mattress production, the chance that the purchased model will be accidentally tapped is rather weak. Inflating precautions are also important, especially as the excess air puts pressure on the joints and can damage the product. It is believed that a freshly purchased mattress must be inflated only 90% in the beginning, allowing the vinyl enough time to stretch. Most manufacturers comply with the simplest instructions for use and maintenance. The size should be checked in advance, especially when it comes to an inflatable pool float. As far as the multifunctional models go, they change their shape and size depending on the design and the construction patterns used by the manufacturer. The easiest way in which you can appreciate their size and their utility is according to the following categories: single, long twin, double, queen and king. The first category is the item recommended to be used by a person only featuring the size of about 190 x 100 cm. These are very similar to the twin long typology, where the length is 10 to 13 cm larger. Double models are 190cm long and 137-140cm wide, ideal for two people. The queen size is 200 x 150 cm, and the king size is 200 x 195 cm. Of course, those sizes are no longer respected when it comes to inflatable pool floats or even many of the beach mattresses available on the market. Make sure that the weight of the product and its dimensions when deflated will be directly proportional to the measures mentioned. The height may vary from one manufacturer to another and even from one model to another. The multifunctional items are rare options which can be modified to accommodate as many functions as possible. For example, some insights on the best 5 in 1 inflatable items suggest that this is an indispensable item, especially for families who prefer diversified vacations and excursions. 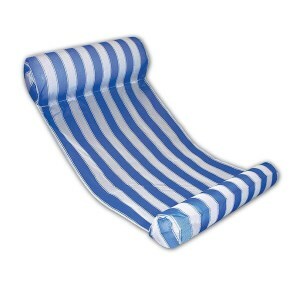 A product of this type can be single or double and can even become a perfect beach product. The padded mattress is an unconventional item that has recently appeared and which is mostly used for camping purposes. These products are much thinner than any other models and are lined with a slightly thicker layer of foam, imitating the functions of an isoprene. The type of item to purchase is the most important feature to consider because it allows you to anticipate how you will use it and how often you will need it. Focus on finding a product that fully covers your needs and requirements. Also, never compromise on quality because these items are from the category of products that you will want to use for a long time.